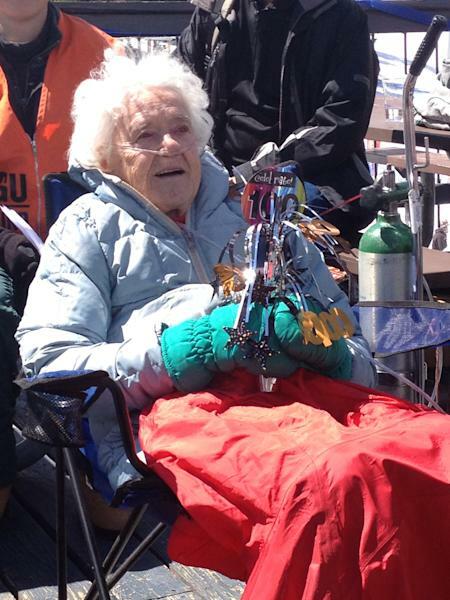 Elsa Bailey may be 100 years old, but that didn't stop her from hitting the slopes last weekend to celebrate her birthday in true snow bunny fashion. "It was something that I planned years ago," Bailey, of Colorado Springs, Colo., told GoodMorningAmerica.com. "That on my 100 th birthday I'd have one last ski, then hang up my skis. I've done it for 75 years. That's a long time. I've had enough." 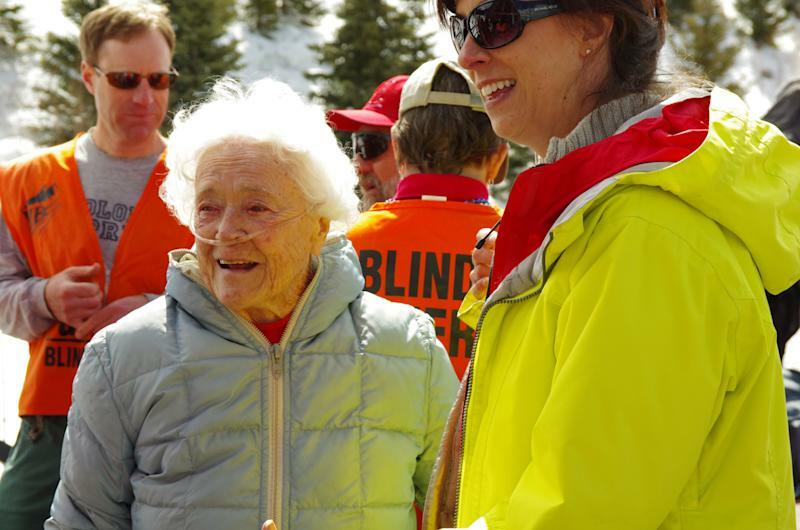 On May 11, surrounded by friends and fellow ski buddies, Bailey took to the slopes at Arapahoe Basin Ski Area in Keystone, Colo., just as she did when she turned 90, for one final whirl down the mountain. "When I got up on the hill, it wasn't so much the energy I was worried about, but if I knew how to turn," Bailey explained. "But it comes back to you." The tenacious Bailey walked up the mountain by herself, though she had a few people by her side in case she needed help. "In case I fell down, I needed someone there to pick me upright and prop me back up on my skis," she giggled. A true celebrity for the day, Bailey drew a big crowd during her birthday celebration. "Even the people I didn't know were cheering for me," said Bailey. "It was a real fun, fun time." Bailey is an active member of three different ski groups. 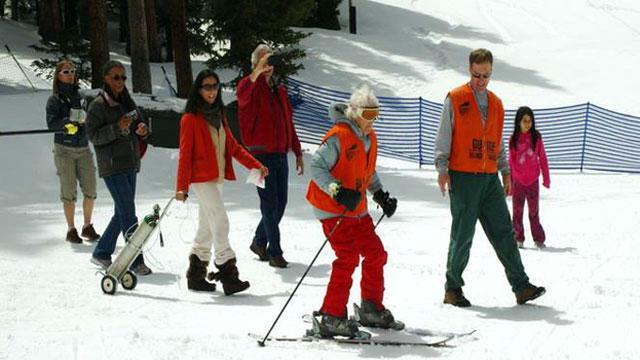 As she's legally blind, she participates in the Visually Impaired and Blind Skiers of Colorado Springs, another called Silver Streaks Ski Club, for people over the age of 50, and also the Sno Jets, who helped arrange her party. Since Bailey first started "hitting the powder," around the age of 25, a lot has changed. "My first skis were made out of wood," she said. "They would cost $7. Then the next ones were mahogany and laminated. Then eventually they had plastic and metal on the sides to help you dig into the snow and get good turns. I used to be pretty good." Her entire life, Bailey has been epitome of adventurous, traveling the world and trying many sports. "I like to do things. My mother took me around the world when I was 50 which was real nice," she said. "We went by boat in those days. We stopped in Honolulu of course, then we went to Japan and stayed there for a month. We also stopped in India for a while and then came back across the Atlantic. "I've even done kayaking and white water and tennis and scuba diving," Bailey continued. "And I do the trampoline on my deck. I jump on that 100 times every morning. Let me tell you, that activates every cell in your body." A former occupational therapist, Bailey says the secret to her longevity is simple: "Be active. I do things my way, like skiing when I'm 100. Nobody else does that even if they have energy. And I try to eat pretty correctly, and get exercise and fresh air and sunshine." Seemingly straightforward advice from the 100-year-old rebel, who says she always tries to be positive, because you never know what life's going to hand you. "If you're positive you can get through it OK," said Bailey. "When you think negatively, you're putting poison on your body. Just smile. They say laughter is the best medicine there is." She says of her 100 th birthday: "It was one of the best days of my life. I'll remember it forever," said Bailey.